Intel has launched a selection of new 5th-generation Core processors based on the company's Broadwell microarchitecture. Five of these new CPUs are designed for performance mobile and IoT devices, while two are socketed desktop CPUs for Intel's LGA 1150 platform, and another 3 are for BGA platforms. Intel isn't talking CPU performance specifics for these new Broadwell processors, instead focusing on improvements made to on the GPU side. All ten of these new processors feature Iris Pro 6200 graphics, which Intel claims will deliver up to twice the 3D graphics performance of previous or current generation Intel HD Graphics GPUs. Thanks to the new Iris Pro Graphics 6200 with its 48 EUs, compute performance has also increased by up to 20 percent on the desktop side (compared to the HD Graphics 4600), and up to 100 percent on the mobile side (compared to the HD Graphics 5500). 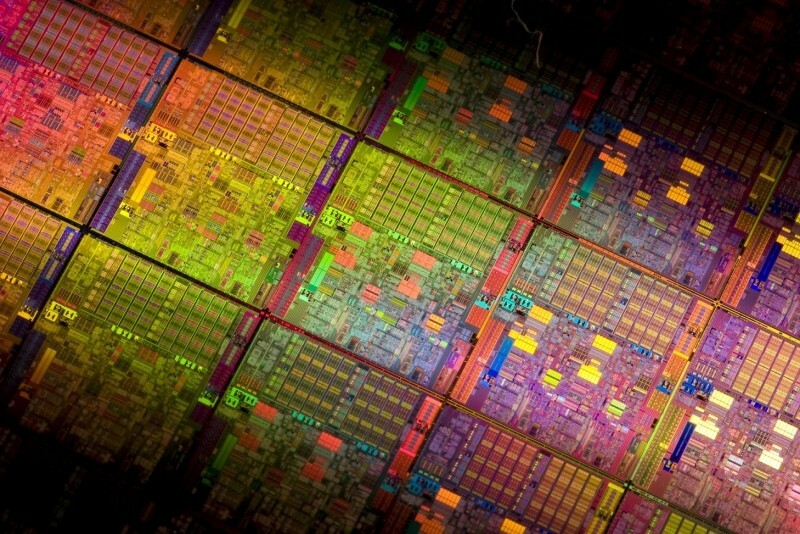 The highest-end desktop CPU is the Core i7-5775C, which is a quad-core, eight-thread part with a base clock of 3.3 GHz. Intel has kept the same 65W TDP as Haswell-based S-series CPUs despite claiming higher performance, which can be attributed to the greater efficiency of Intel's Broadwell architecture and the 14nm manufacturing process used. As clock speeds are lower than Intel's highest-end unlocked Haswell parts, specifically the Core i7-4790K clocked at 4.0 GHz with an 88W TDP, these new Broadwell desktop CPUs aren't intended as direct replacements, as in many cases CPU performance will be lower. But where integrated graphics performance is needed, the i7-5775C will outstrip the i7-4790K. Of the five desktop CPUs, two are C-series products, which are part of Intel's unlocked processor family for the LGA 1150 socket. Previously Intel has used a 'K' prefix to designate unlocked parts, but as these new Broadwell CPUs are more focused on GPU improvements, Intel has opted to use 'C' instead. Intel's R-series Broadwell chips, of which there are three, use the company's BGA 1364 socket and are therefore soldered onto the PCB. On the mobile side, the highest-end part is the Core i7-5950HQ, which is again a quad-core, eight-thread part, but with a base clock of 2.9 GHz and a TDP of 47W, just like Intel's Haswell performance mobile parts. While large performance gains have been made on the GPU side in Intel's Broadwell-based performance mobile processors, many laptops that utilize this CPU will end up being paired with dedicated graphics anyway. This is why Intel is also claiming the chips are ideal for "medical, public works and industrial IoT applications" thanks to support for features like vPro and ECC memory. The full list of socketed desktop and performance mobile Broadwell CPUs can be found below.